Quiet and harmoniously filled with nature’s goodness. Villa Elma is best described as a mountain resort and pilgrimage site that offers relaxing and uplifting experience for you and your family. It is located at the foothills of Mt. 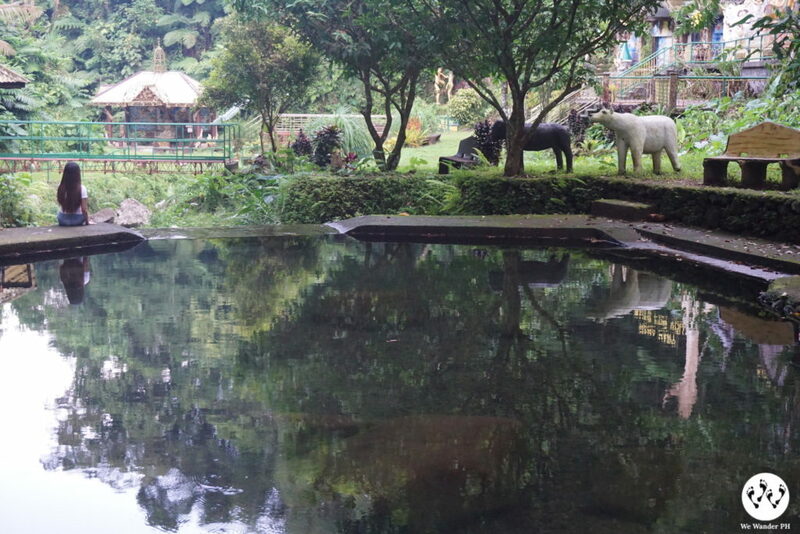 Banahaw in Lucban, Quezon. Villa Elma is a result of one man’s dream, Mr. Magdangal Elma, to express his love for family, friends and his spiritual relationship to God. 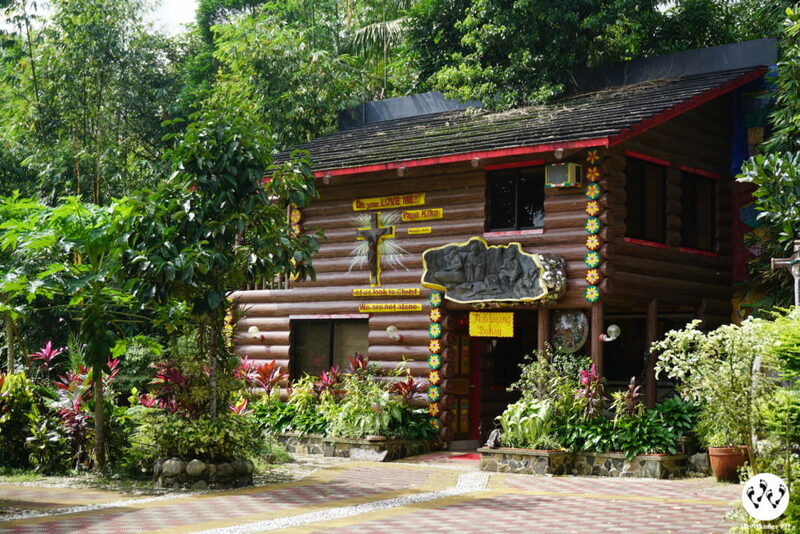 It was built in the year 1992 as a private rest house and only allowed invited guests. It was June 2016, when it has opened to the public. The total area is 10 hectares but only 4 hectares is accessible where accommodations/rooms and other structures are located. There are numerous sculptures made and designed by Eduardo Castillo and Rey Contreras and two stations of the cross. 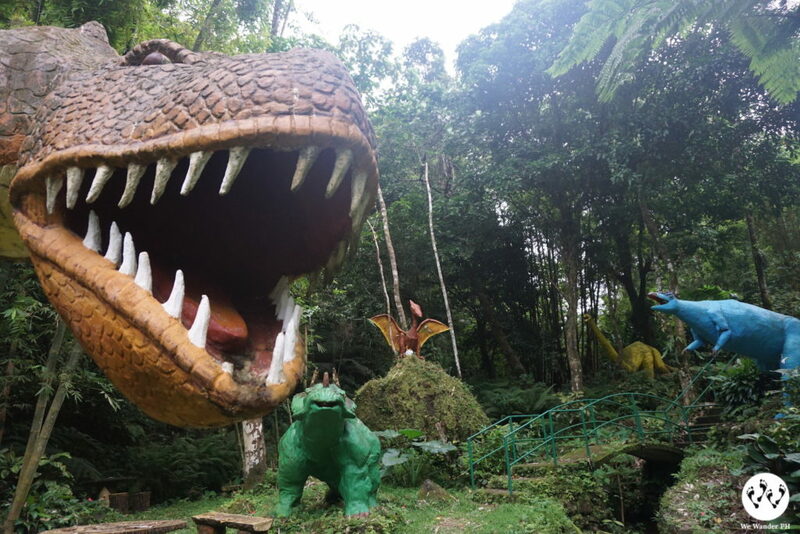 You may noticed the different cartoon figures like Hulk, Thor, Batman, Superman and even Jurassic Park. The manager said (Hector Rico), they were specially made for the family owner’s grandsons. 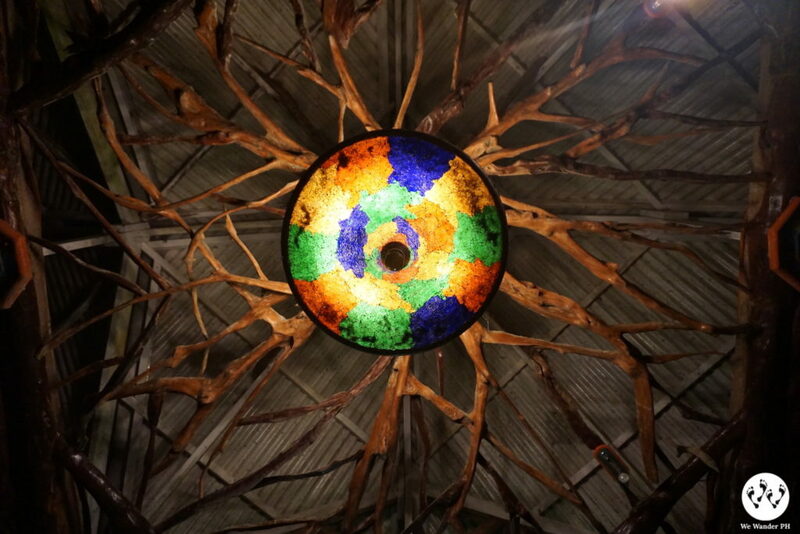 Other designs in the area are Magdangal’s fruit of broad imagination. Amihan-Habagat. It moves around when a strong wind blows. 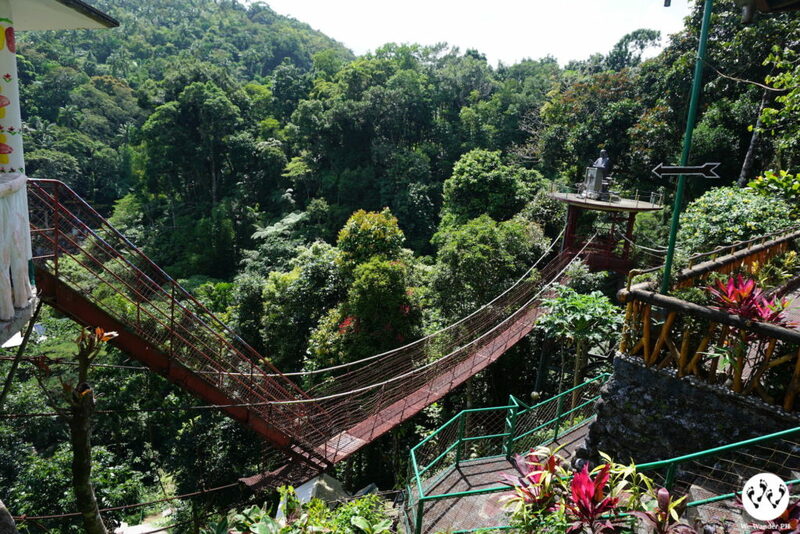 There are two hanging bridge in Villa Elma noticeably placed along the way to the first station of the cross. They are made of steels and cables. The view is a must-see and perfect for selfies. 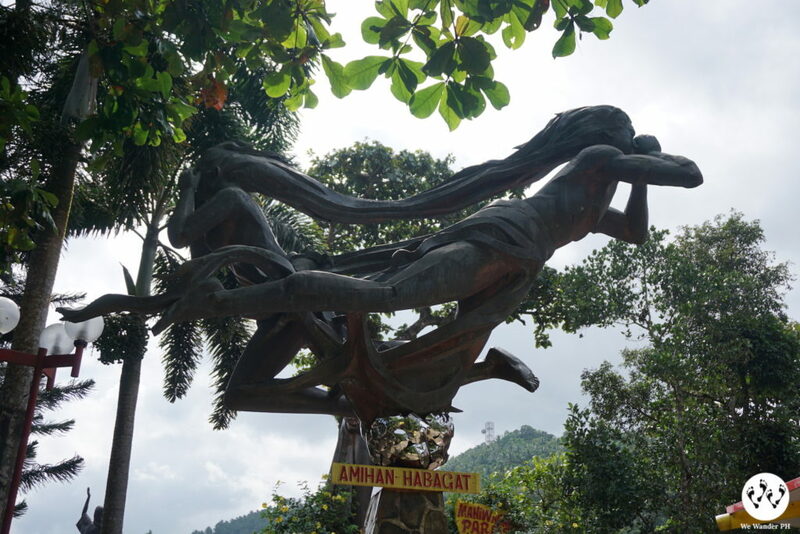 There are different sculptures distributed in the place that gives an artistic charm. 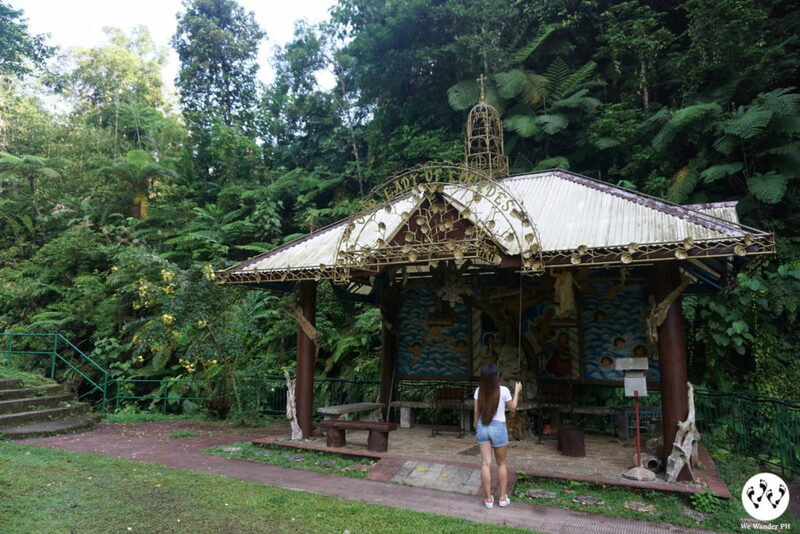 Villa Elma is one of Lucban’s pilgrimage site and it is visibly displayed all throughout the area. It is expected to be visited especially during Holy Week. To get to the stations of the cross, you need to walk downstairs and upstairs. For elderly visitors, you may expect a challenging walk to get to these stations. Guests may try to experience fish spa and get a tickling fish massage. 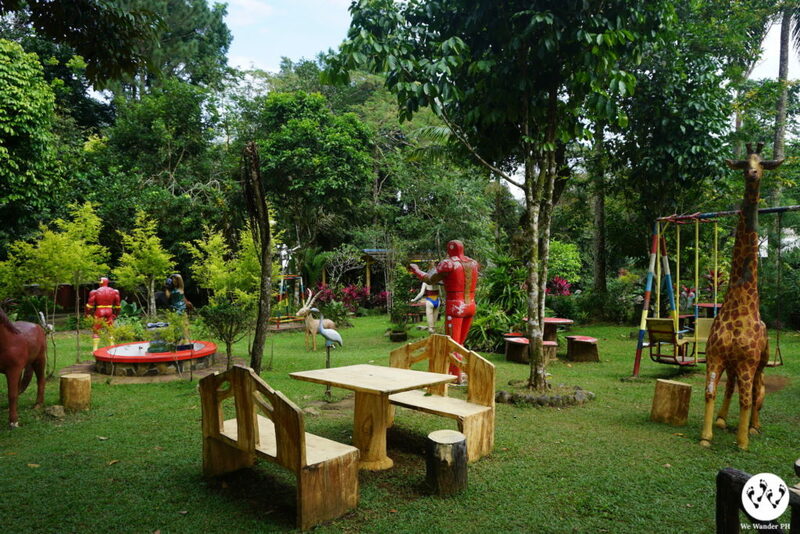 Kids and kids-at-heart can enjoy Villa Elma’s little playground. They have the classic seesaw, swing and “lambaras” or chin-up bars. There are also tables and chairs to use for picnic area. Another attraction is the Jurassic Park. As seen in the movie, you will expect different types of dinosaurs but of course as figures. You can pull up to three (3) times then make a wish. A natural stream and running water coming from the mountain. The water is cold and they allow swimming. There is a nearby changing room and toilets. Bringing of bottled drinks are not allowed for safety. Currently, the natural pool is under renovation. The management decided to redevelop the pool since it was originally 10-feet deep and not advisable to everyone. It is expected to be completed before end of 2017. 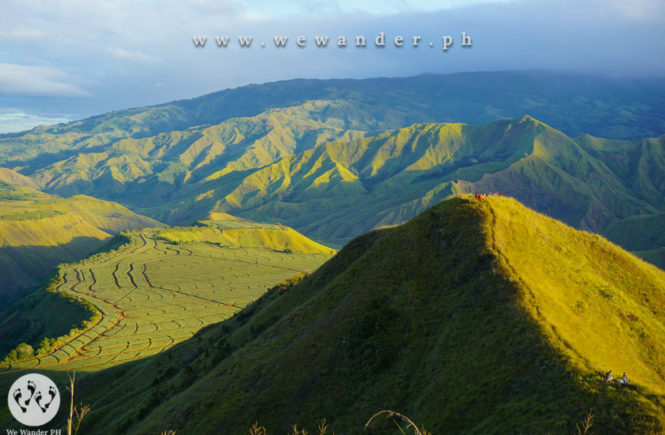 This is a must-visit and We Wander PH’s best pick. 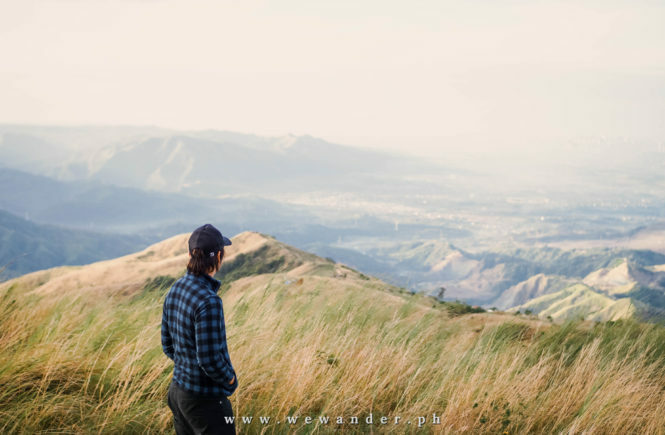 Get the perfect view of Mt. Banahaw near the second station of the cross and Cristo Rey huge statue. The best time to visit is early in the morning. If you are lucky (like us), you will be able to see the unobstructed view of Mt. 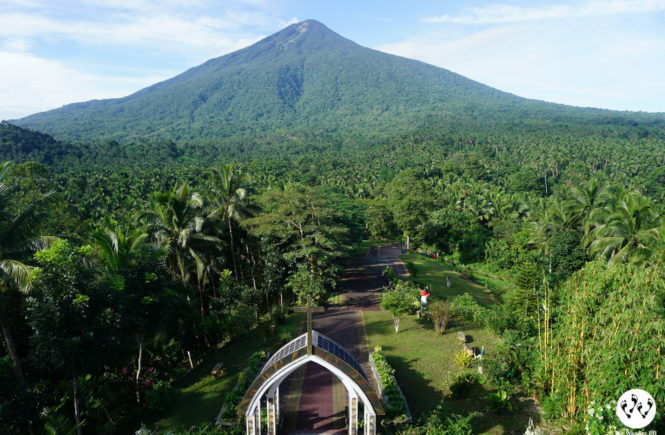 Banahaw without clouds. Yes, it’s like Mayon Volcano but with a different charm! 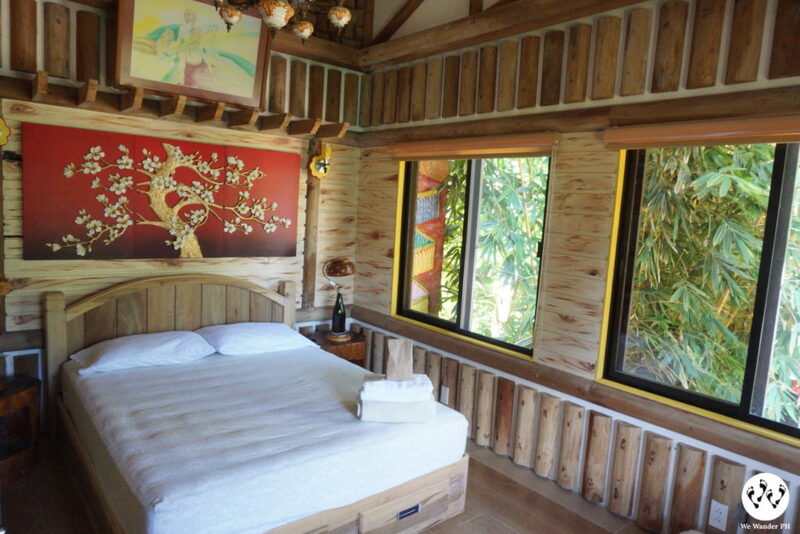 There are numerous rooms that you can choose, from a budget-conscious to a more intimate stay luxury. 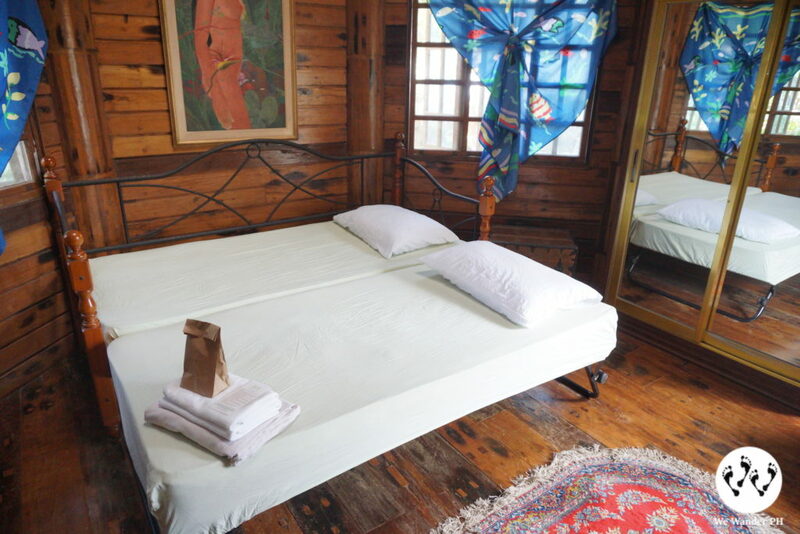 This is suitable for guests who prefer to experience the mountain climate on their own homely private room. It has its own toilet and bathtub and perfect for budget-conscious. This is a fan room accommodation. This room is perfect for couples or a small family. A fully-air conditioned with own dressing room, toilet and bathtub. 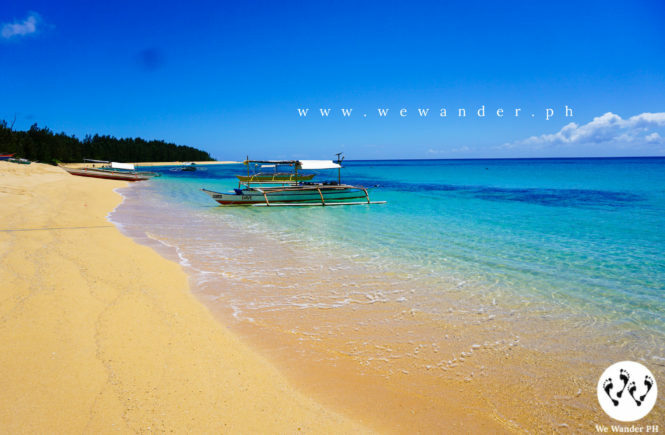 This is were We Wander PH stayed. A spacious room good for a maximum of 8 person. It has its own balcony, toilet, bathtub and fully-air conditioned. 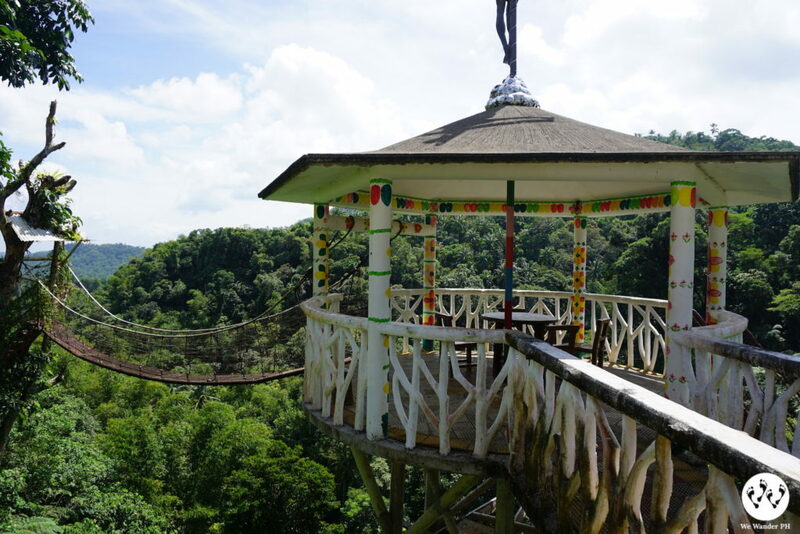 The Tree House, may not be located on top of the trees but the feel and vibes is more like it. The whole room and spaces are made of woods and may be very cold especially during nighttime. 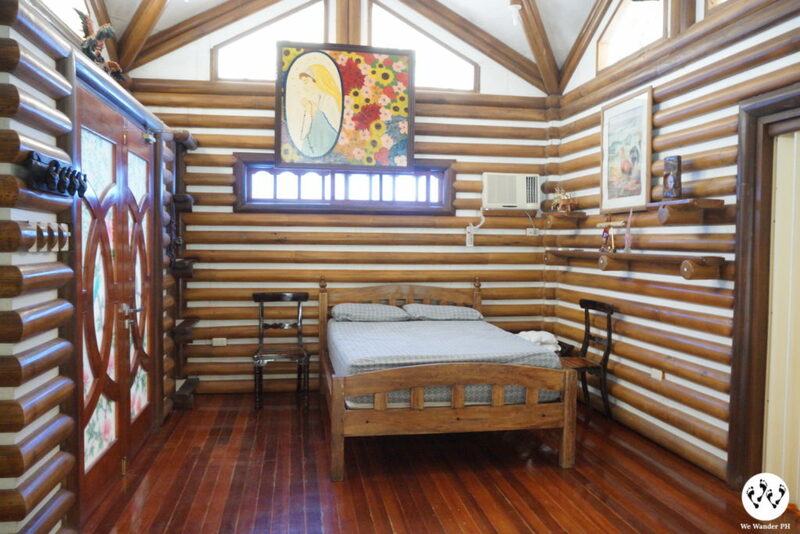 Villa Elma’s Log Cabin is a more luxurious type. 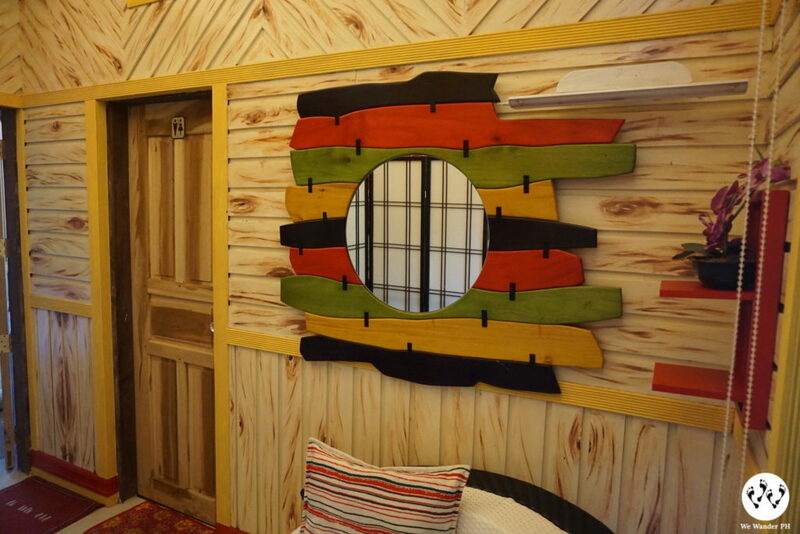 It is a two-storey accommodation room which will captivate the guests’ hearts. The design and feature is modern-like with a touch of nature. It has a balcony with an amazing view of the forest. The Memorabilia can accommodate up to 12 persons. This is suitable for big families who prefer to stay in one room. Camping in Villa Elma is made possible thru their glamping tents. 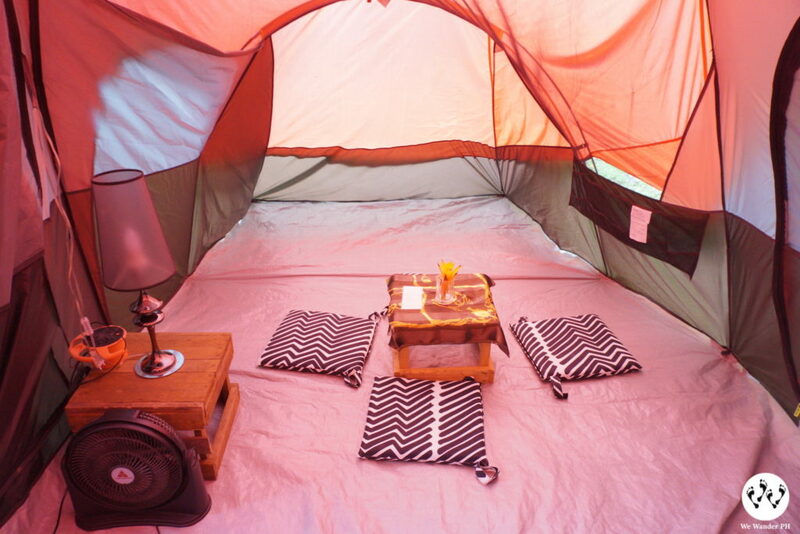 For those who prefer to have an outdoor-like atmosphere, glamping is the best pick. They have available tents with fans. You may also want to try their bonfire. 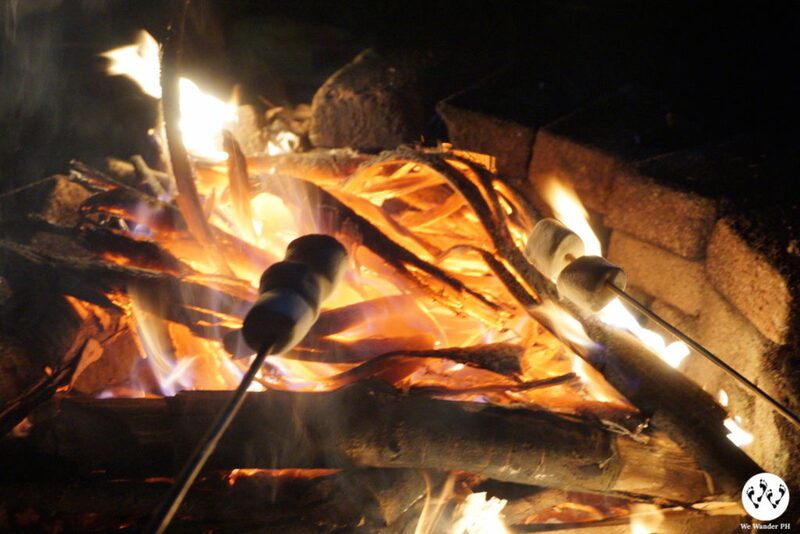 To have a complete experience of glamping, a perfect activity to do at night is making a bonfire served with s’mores and sticks. 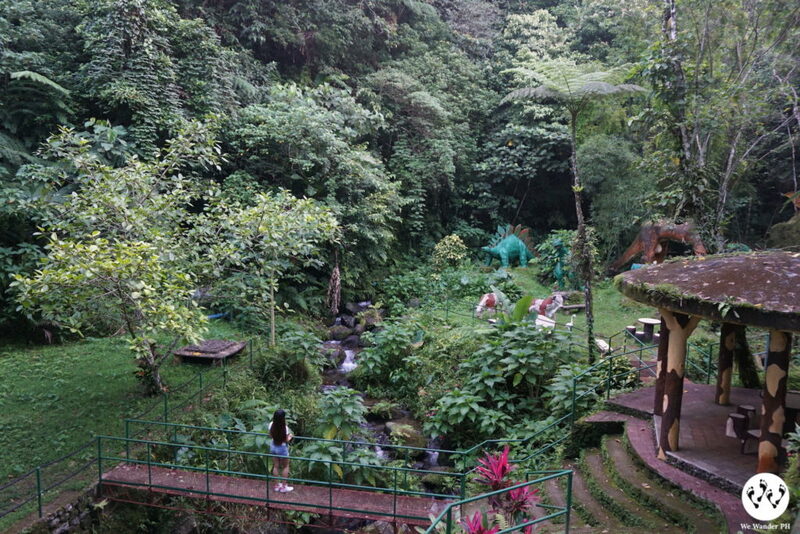 This will be perfect venue for barkada who loves to have a good night chat while watching the flumes. The rate is P200. NOTE: Base Rates are subject to change without Prior Notice. Villa Elma is a Bed and Breakfast type. 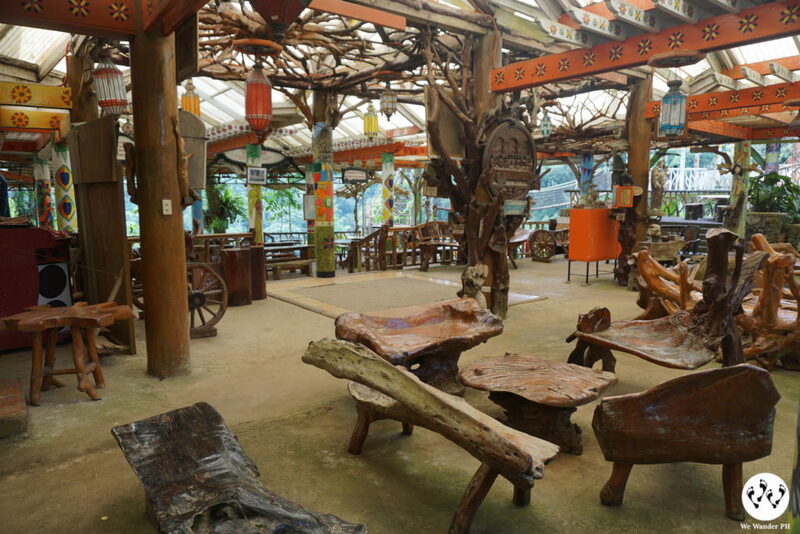 It has a small cafeteria to serve breakfast, lunch, dinner and meryenda short orders. Options are: porkchop and fried egg, Lucban longganisa and fried egg and tapa. 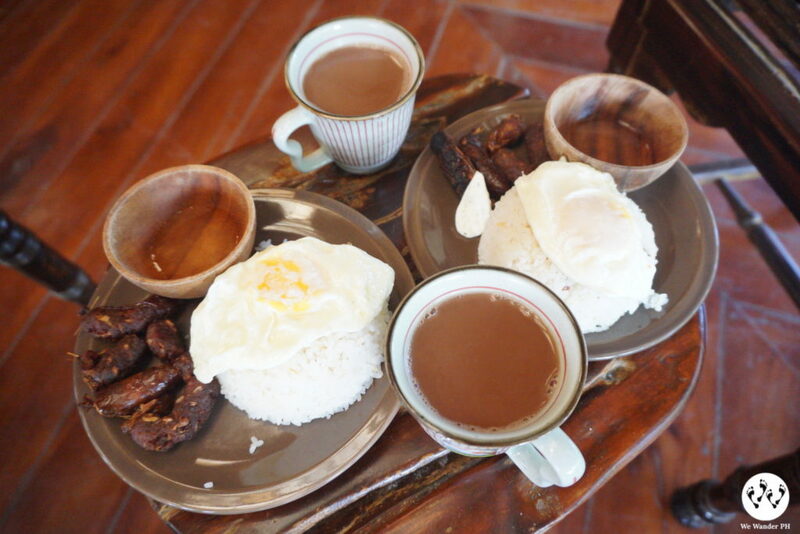 They are all served with rice and drinks (coffee or hot choco). 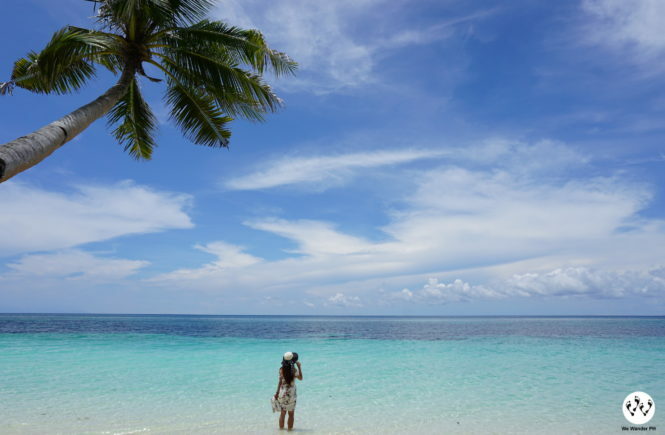 You may coordinate your booking and reservation to Villa Elma’s point of contact. You may bring your own food. No corkage fee. The only store in Villa Elma is Elsa Cafe. You can order your breakfast, lunch and dinner and short orders. Menu is limited. We suggest to bring your own food. Usual weather in Lucban is 70% rainy weather and 30% dry weather. If planning to tour the whole place, expect a lot of walking. Bring water with you all the time for hydration. 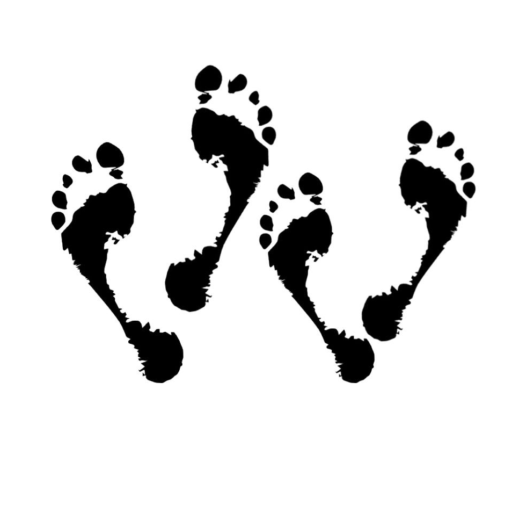 If you are coming with an elderly member, getting to stations of the cross would require walking. Expect to get sweat. 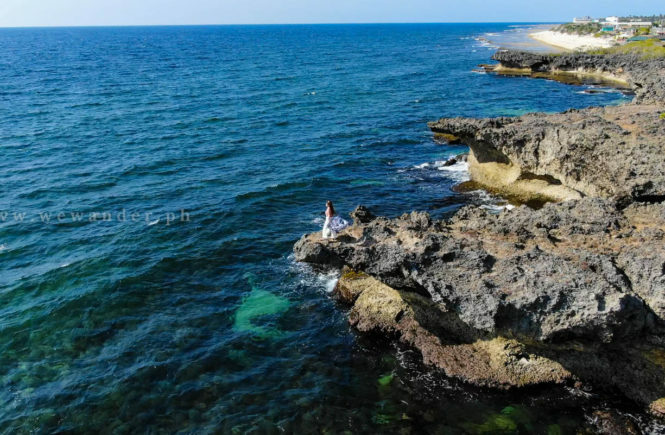 There are no television in the rooms as Villa Elma promotes a Bed and Breakfast setting that will disconnect you the usual city life. From Buendia Taft in front of Arellano University, ride a UV express that will lead you to public market in Lucban, Quezon. Fare is P240 or range P200-P250. From public market, ride a tricycle going to Villa Elma. Fare is P15 per head for group or P50 for two person or depending on the actual passenger. From Cubao or other bus stations, ride a bus going to Lucena Grand Central Terminal for P218 fare. From Lucena Grand Central Terminal, take the jeep going to Lucban public market. From Calamba Laguna, ride UV express heading to Lucban public market. Villa Elma has a unique charm combining the mountain forest feature and a pilgrimage site. The 3 – 4 hours travel time from Manila to Lucban, Quezon is worth it especially when you are visiting as a group to share the expenses. The place is more than two decades old which is noticeable on some parts but still has an appealing spell that attracts the visitors. It has different attractions that will surely give you the perfect spot for your instagram-worthy post or a family group selfies. Villa Elma is aware of the improvements that they need and they are working on those to give additional offering to visitors. For adventure seekers, the place is built to provide an atmosphere of silence and relaxation. The activities may not be your usual to-go-to but if you want to have a break and have a perfect resting place, try Villa Elma. 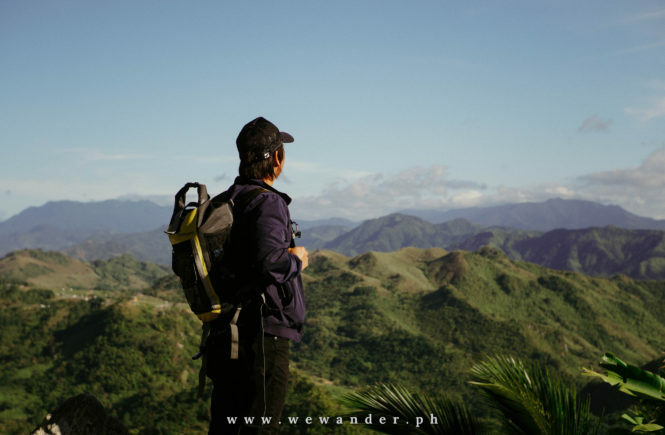 We Wander PH is thankful to experience Villa Elma’s relaxing and serene environment. The place is beautiful and the staff are very warm and accommodating. Special thanks to Mr. Daniel Elma for accommodating us and Sir Hector Rico for assistance and history-telling. We had a great stay! You may connect with Joanna Baldejo for the availability of the schedule. The contact number is 09955045385. From SM Calamba, there are UV express going to Lucban, Quezon. hi pwede b daytour lng? Yes, you can bring your own tent. For the fee, please contact Joanna of Villa Elma. See details below.